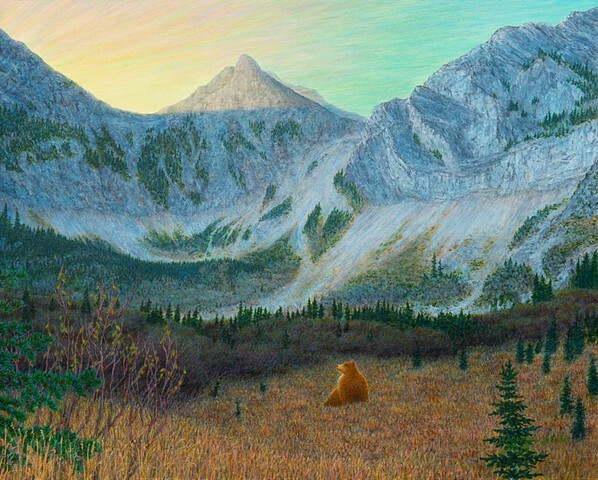 In my painting, I wanted to show a corner of the Rocky Mountains where grizzlies live in their natural habitat. While hiking in the area, I watched this grizzly foraging for food on the distant slopes. I painted him closer to the viewer to show the bear alert and aware of an interesting scent in the morning air.